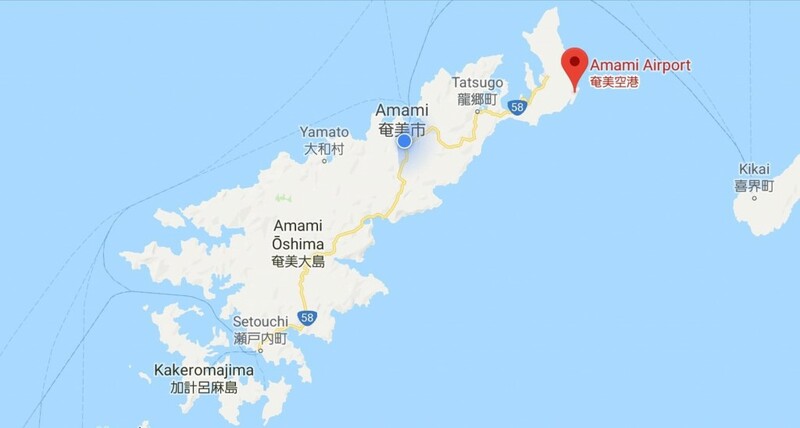 Greetings, and welcome to Amami 101! 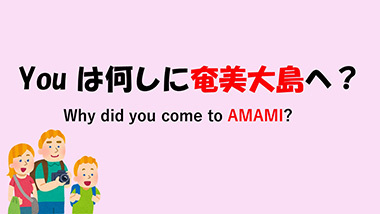 Amami 101 is a series of articles introducing general information about Amami Oshima, made with the hope that both travelers to Amami and potential visitors have a basic idea of how Amami works. 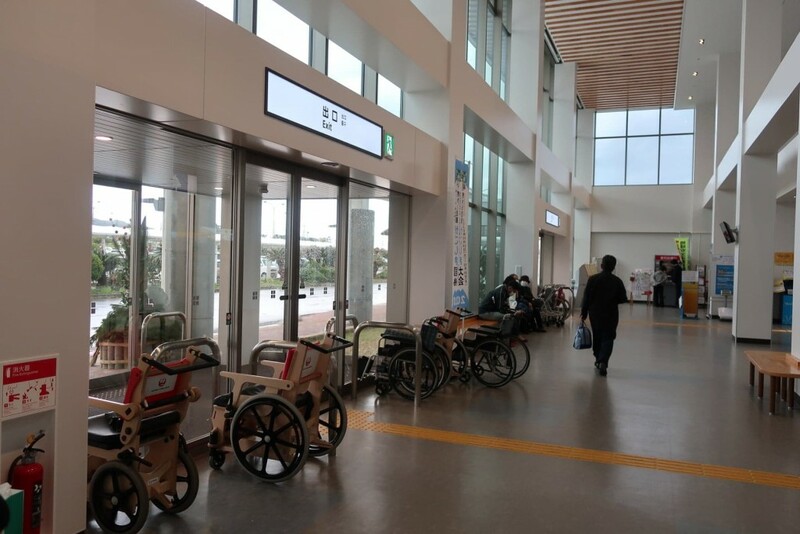 In this article we will be going over Amami Airport; mainly its various facilities and how to access them. 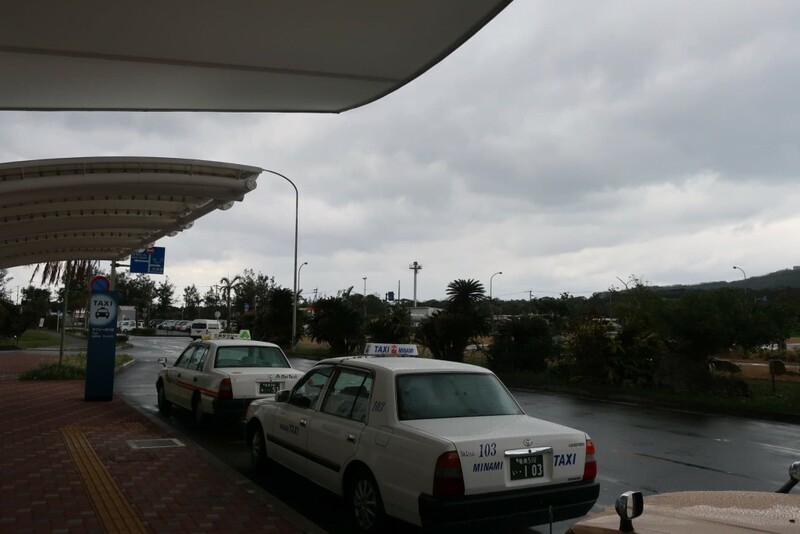 Amami Airport is located on the northeastern edge of Amami Oshima, in the Kasari area of Amami City. 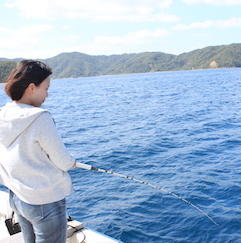 It is about an hour drive by car from Naze, the central area of Amami City, and about a 1 hour and 40-minute drive from Setouchi Town in the southern part of Amami Oshima. 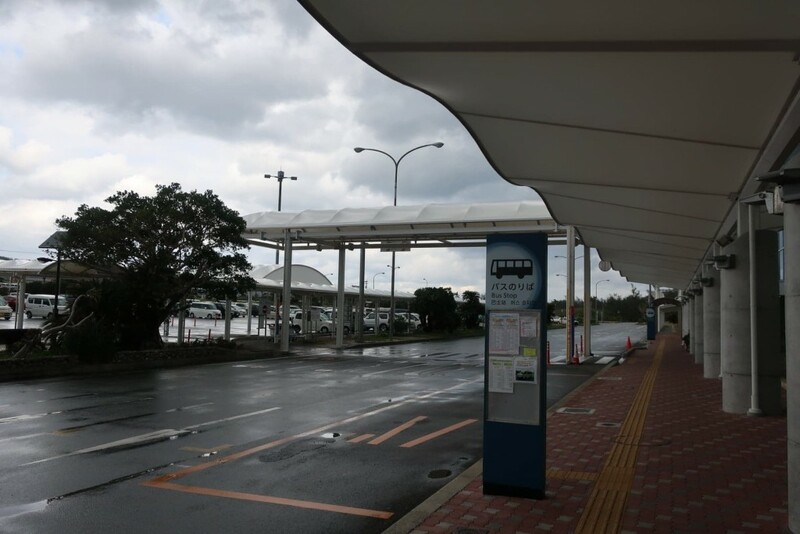 You can take the Amami island bus to the airport on the Airport line, and it will drop you off at the bus/shuttles drop off area outside of the Departures entrance. 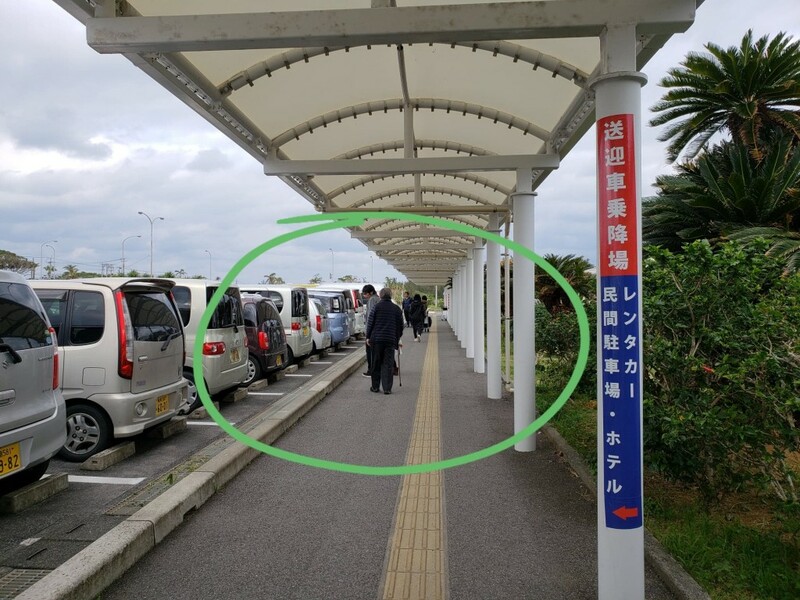 In the area right out front of the airport, there is the general parking lot, the pick-up area for the general public, rental car shuttles and long-term airport parking shuttles, as well as a park with a small waiting area. The general parking lot cannot be used overnight (it closes from 7:30 PM to 8:00 AM), and only those who are using the airport and/or have business there may use this parking lot. 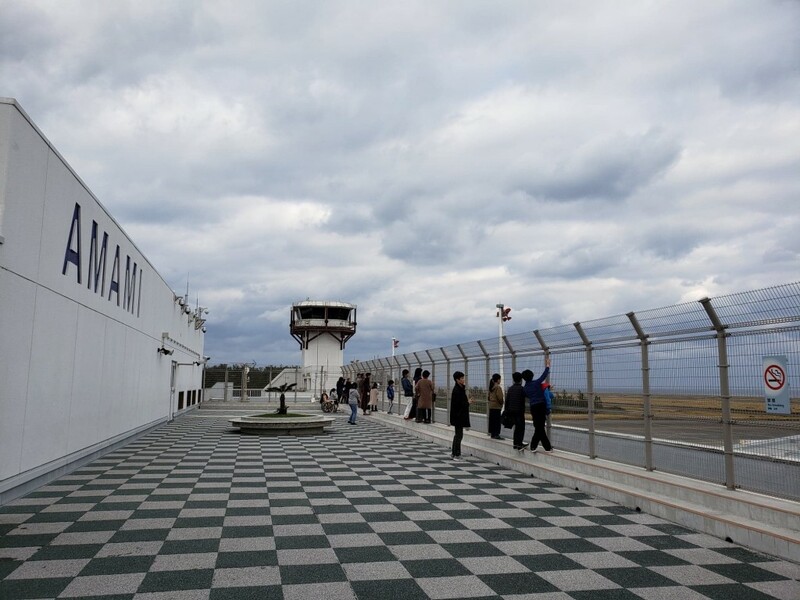 Along with the check-in counters for Japan Airlines (JAL), Skymark and Vanilla Air, there are various other services that you can access in this area. 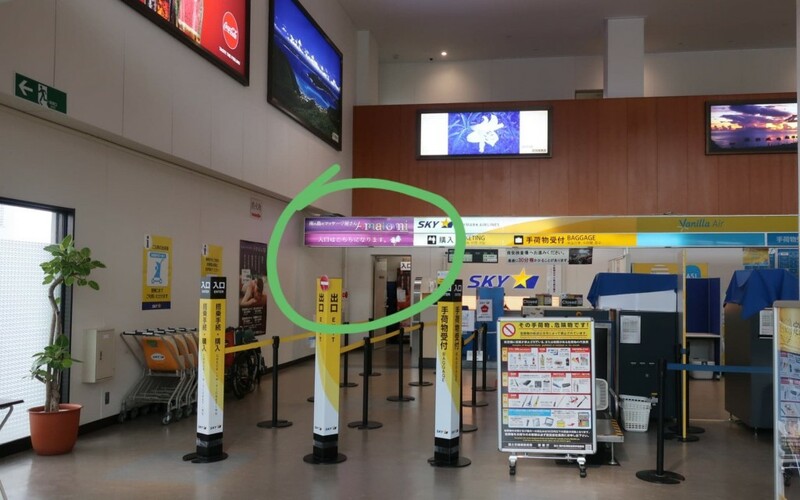 On the very most left-hand side of the check-in counters (if you are just entering the Departures area), there is the massage parlor Amalomi for when you want to relax after a long time travelling. 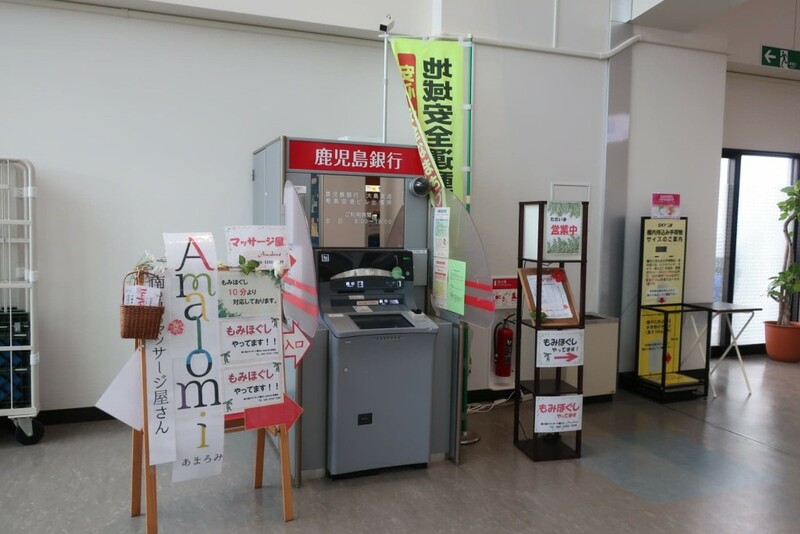 There is also an ATM for Kagoshima Bank where you can make international withdrawals, but you can only withdraw in Yen, not other currencies. 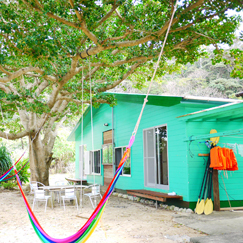 It can be used from 8:00 AM to 7:00 PM. 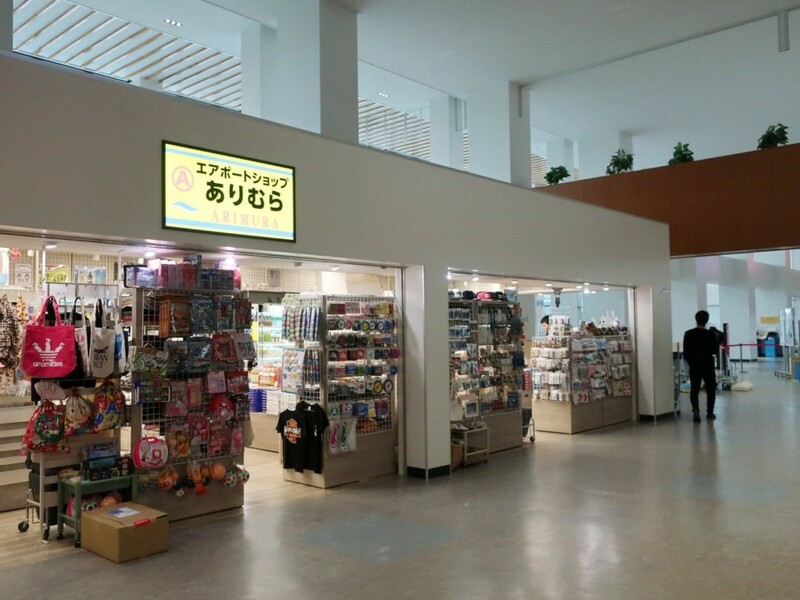 The airport shop Arimura is in the area next to the escalators that go to and from the second floor; they sell various unique and fun souvenirs so that you can always have a remembrance of Amami, or share the charm of Amami with others! 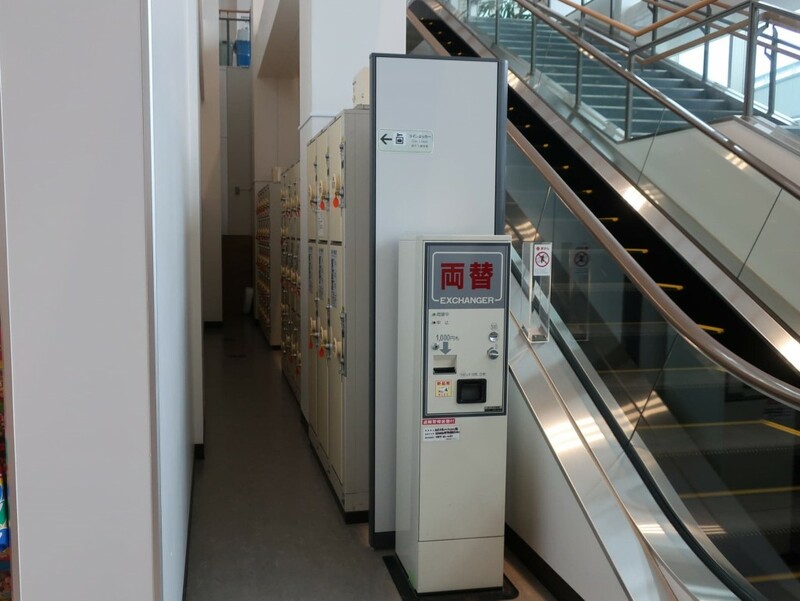 Situated by the automatic entryway doors are the wheelchairs that the airlines have provided, and the coin lockers are in a small area in-between the escalators going to the second floor and the Arimura souvenir shop. 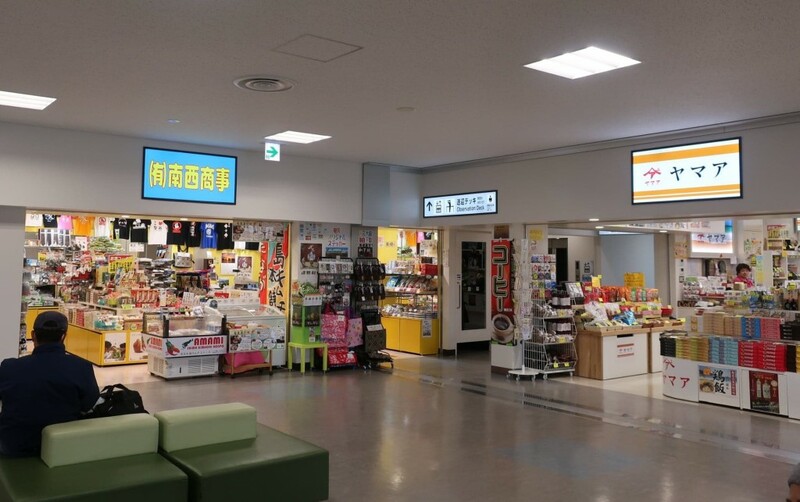 As you head to the 2nd floor, you’ll find the security check entrance to the departing flight area and various souvenir shops; they are Maeda-ya, BLUE SKY, Yama-a, and Nansei Shoji Ltd. 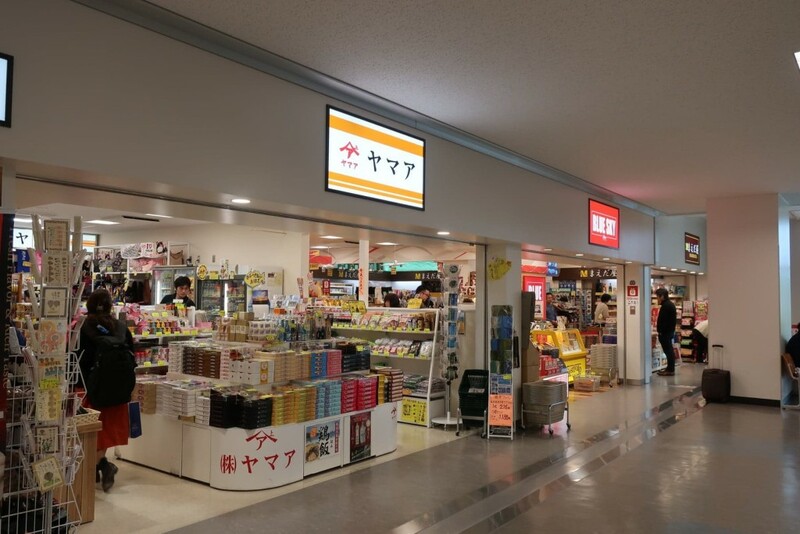 They each sell different souvenirs and products, so I recommend that you check out as many as you can! 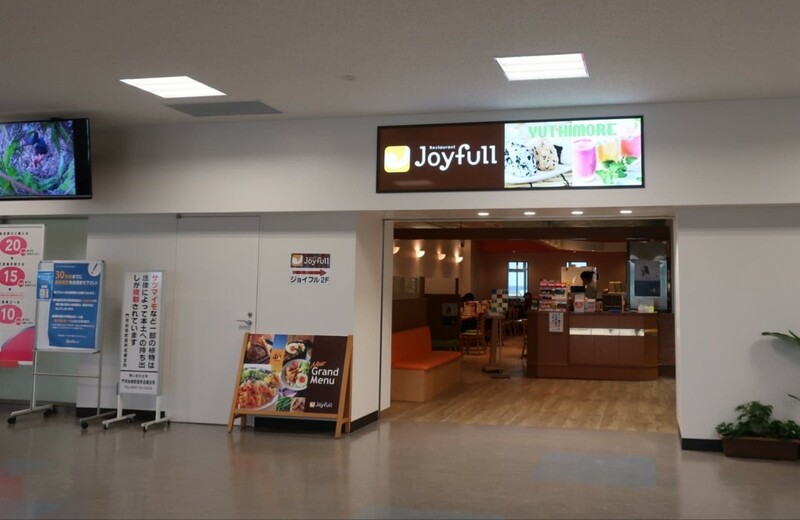 You can also find the family restaurant Joyfull on this floor next to these shops, as well as the entrance to the Observation Deck, and a fully equipped baby care/nursing room. 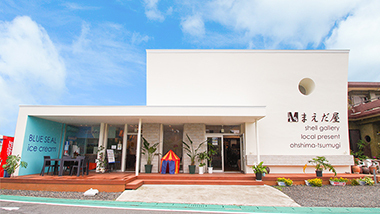 The Observation Deck is accessible by stairs and an elevator, and the exhibits about Amami on the way to the deck are worth checking out too! 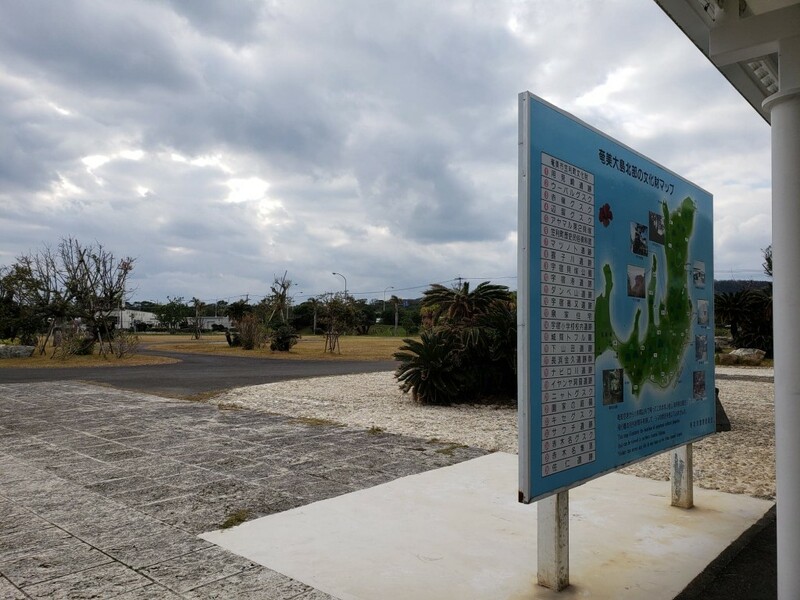 As you arrive at Amami Airport, right away you are met with displays of everything Amami has to offer, such as posters of Amami, brown sugar shochu (distilled liquor) bottles, and the shima-uta (local folksongs) playing through the speakers. 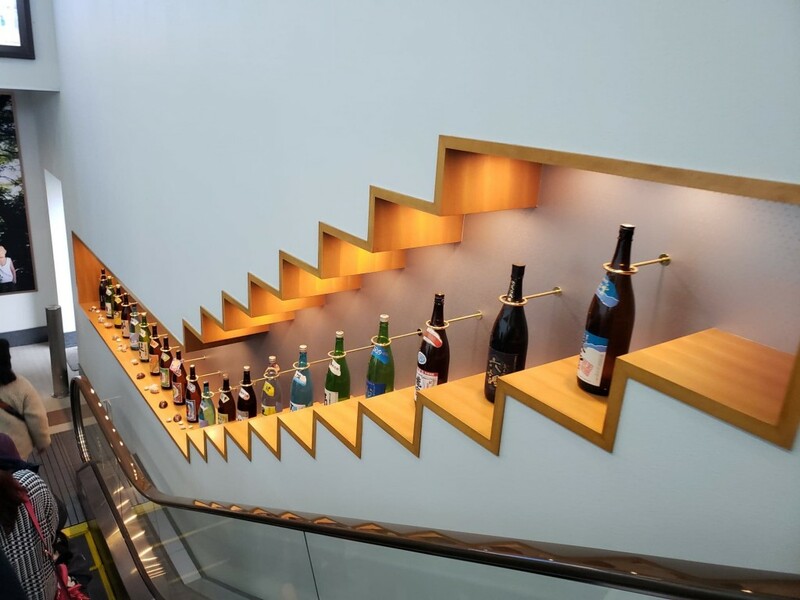 Then, when you head out of the baggage area, you find the Arrivals section of the airport. 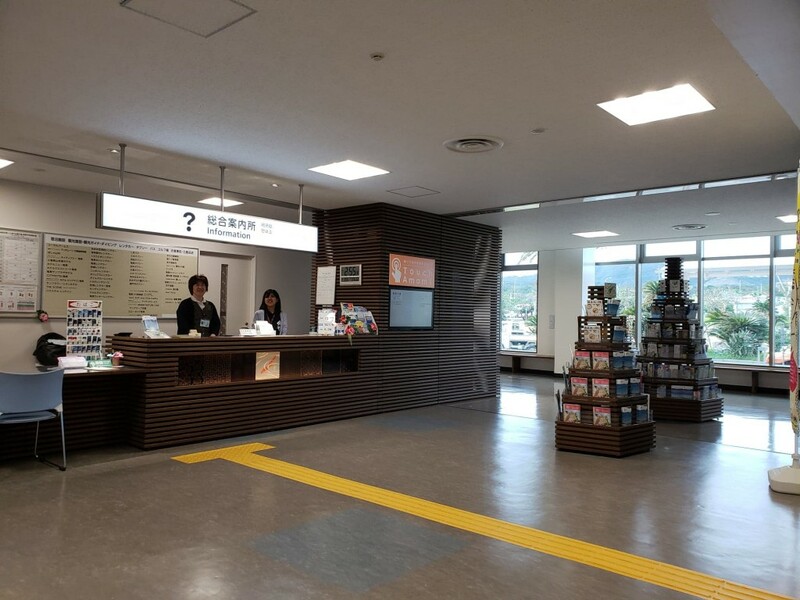 On the left side you can see the Information desk, where you can ask about any sightseeing recommendations or information you may need. 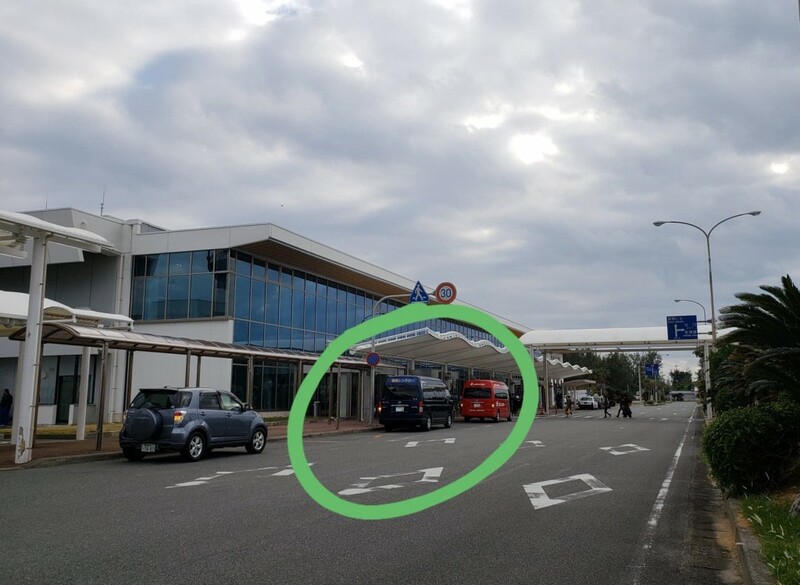 Right outside the Arrivals entrance in the taxi waiting area, where usually about 3 taxis are waiting for anyone who needs a ride, and the bus stop for the island bus departing from the airport (2nd picture). 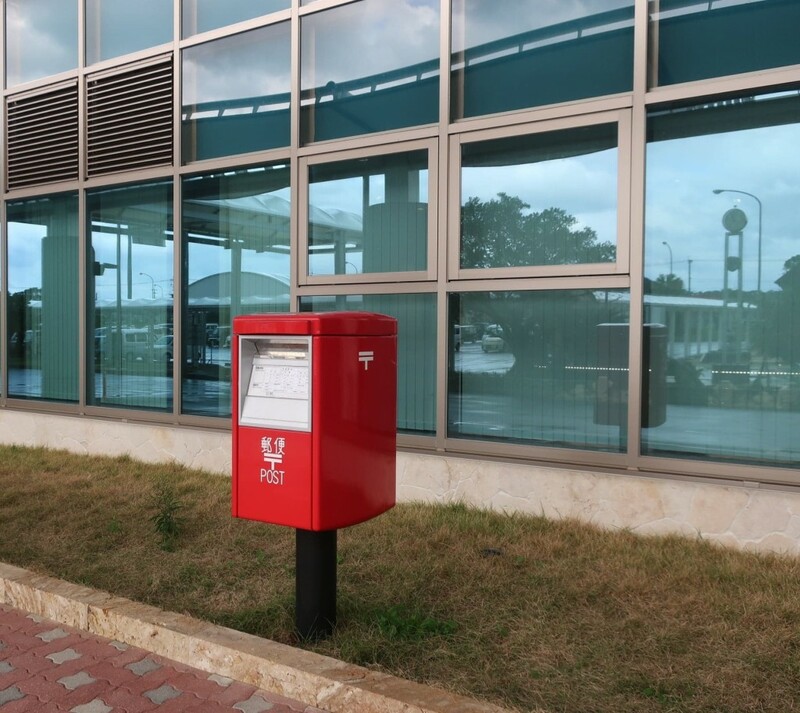 Right outside this entrance, you can also find the Japan Post mail box. 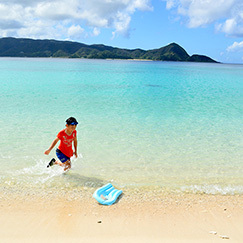 The Amami Airport is the first impression many visitors have of Amami Oshima when they arrive, so the staff works hard to make this experience pleasant! 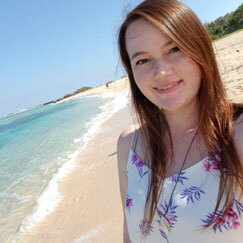 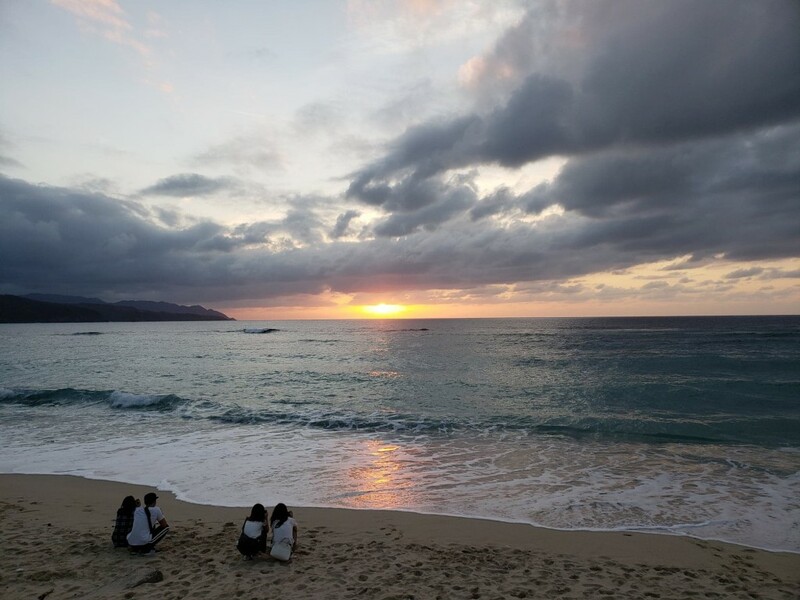 I hope this article had some useful information for your next trip to Amami Oshima, and we’re hoping to see you soon!